Great quality bag. Love the material it's made out of. Plan to re-buy these bags multiple times in the future. Every time I order from Custom Earth Promos I'm satisfied. The logo came out just the way I wanted it too. Bringing these reusable bags with me to my upcoming convention. Durable bag made out of great material. Really pleased with what you guys have to offer. We needed these bags for our Christmas event. Quality is nice, the handles are strong, and I love that it's organic cotton! The ordering process was super easy too! I highly recommend using CEP. This organic cotton bag is just what I needed. I'm very excited how the design came out. I'm looking forward to purchasing more eco-friendly custom-made bags from you guys in the future. Beautiful cotton made bag that I was looking forward to for my business. Once the order arrived I immediately opened the packaging and saw that they came out amazing! Thanks CEP. I am very pleased with the quality of this bag! Very easy to order and we even received our bags sooner than expected. The whole staff was a pleasure to work with as well! This was my second time ordering these bags from Custom Earth Promos. I am so thrilled about how nicely the design always comes out. The bag quality seems to last forever. GREAT bags! We need them for our church event. Quality is nice, the handles are strong, and I love that it's organic cotton! I was able to order right from the website too, so easy! These bags were perfect! My logo looks amazing on them! Cant wait to order again! Love the service Custom earth Promos provides they impress me every time i order! The natural color looks great as a backdrop for our custom logo. Nice size bag, I purchased this bag from my local super market and that is how I found CEP. I just placed an order with them for this bag to use for my own business. I am very excited to have our very own recycled organic cotton reusable totes with OUR LOGO on them!!! Cant wait to see them!!! Perfect bag for our event. Great bag to use for womens clothing stores. The women who shop at my store use this bag for a multitude of uses and it promotes my store every where they go. Good wholesale organic cotton bag. I recommend this company. Well worth the price. This bag has lasted us a long time, we use it as a giveaway at our resort. We needed a bag to have style along with being eco-friendly. This bag suited our needs perfectly, plus dealing with custom earth promos was a breeze I would use them again in a heartbeat. The bag is constructed well, the handles are very strong and comfortable to carry. The imprint on the bag looks sharp. This bag represents our company well I am glad we purchased it. I was very impressed with the quality of this bag, it is worth the price tag for sure. We liked the shape and material of the bag, My customers love it also. We liked the style best of this model organic cotton tote (CN5). It has meet our expectations and the clients love them. I own a book store slash coffee shop its like a Barnes and Noble - just not as big but way more cozy. I have a pretty big following and steady customers. I wanted to give them something that they could use at my store and around town to advertise my store. We went with this custom cotton reusable bag. It has served me and my customers well, they bring it to my store empty and leave with books or other merchandise I sell. This is the best organic cotton product I have purchased. We try to only use organic cotton products for whatever we can possibly make out of them for everyday business. It has to do with our branding the whole organic cotton thing. So the point is I have been through my share of organic cotton reusable bag manufacturers. This is the best company I have found, 5 stars, highly recommend them!!! I love working with custom earth promos it is always an easy process. They understand our needs and always direct me to the right type of reusable bag for our events. Very well received by all of our employees, I see them toting this bag to and from work with all there essentials for the work day whether it be lunch, clothing, paper work, etc. This bag has alot of uses and it promotes our company. Great wholesale bag, quality for a wholesale product. My church handed these bags out at an outreach event. The event was a success and the bag has promoted our fellowship well. Cool looking bag, just what I expected. A versatile option for any occasion or event, our Recycled Organic Cotton Totes will be a surefire hit with your clients! Boasting a spacious interior supplemented by a deep gusset, this cotton tote is also easy on the eyes. Woven outstandingly durable in a beautifully subtle natural hue, your brand logo or design of your choosing will stick out conspicuously for years to come, advertising your business to all demographics who happen upon this striking tote! Stylish and uncompromising in its strength, our Recycled Organic Cotton Totes are the embodiment of the ‘Renaissance Tote,’ offering utility and versatility across the board. Featuring trendy cotton cording handles, stunning metallic grommets, a large imprint area for your brand, and a sizable interior compartment, your current and prospective clients alike will enjoy the comfort, convenience, and style of this tote! A popular alternative to conventional tote bags, our Recycled Organic Cotton Totes are a fashionable, sturdy, and eco-friendly way to make a statement to your clients and all of the business targets you wish to attract! Constructed of 100% organic cotton and woven into a robust thickness of 6 oz, your clients will relish toting virtually any of their belongings, both light and heavy, around in this accommodating, versatile 13” W x 15” H x 4” D bag that also features chic 9” drop-height, soft cotton cording handles threaded through four metal grommets. 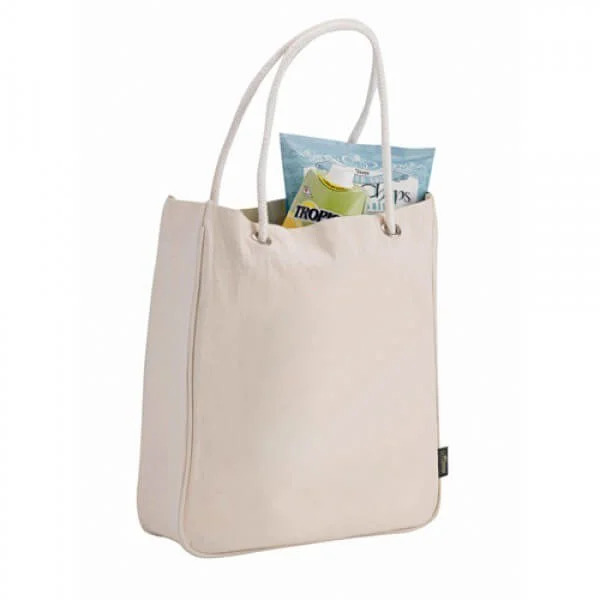 For additional capacity, a 4” gusset is included which only furthers the utilitarian spirit of this organic cotton tote. Our Recycled Organic Cotton Tote is the apogee of luxurious style. With elegantly rounded corners and piping along the sides which matches the tasteful cotton handles, this tote arrives in a beautiful yet subtly natural color which serves to superlatively set apart and spotlight the design for your brand with which you choose adorn the bag. Whichever customizable design or logo you opt for, it will be prominently displayed within the commodious 8” W x 8” H imprint area. Besides being free of harmful chemicals and pesticides, our organic cotton is farmed in an ecologically responsible manner and avoids any polluting byproducts in the air or water. Additionally, cotton as a natural fiber is sustainable, renewable, and biodegradable. The purchase of this organic tote is an benefit for both your business and the environment! As always, our eco-friendly products at Custom Earth Promos are offered at cost-effective, competitive rates. 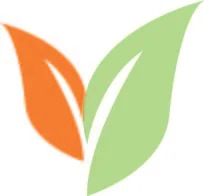 We strive to offer our products with the greatest attention to customer satisfaction as it is our pleasure to serve your promotional needs, and are steadfastly committed to fulfilling your specialized orders within the required amount of time in conjunction with our highly competent overseas production facility.